the veterinary practice ezine published by www.vetsite.info. 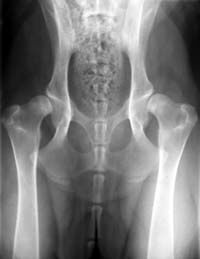 Osteoarthritis is the most common form of joint disease found in both pets and humans. The resulting stiffness, pain and loss of mobility can seriously reduce your pet’s quality of life. Veterinarian’s typically prescribe anti-inflammatory drugs or recommend surgery in advanced cases that can not be treated medically. When treating osteoarthritis many claims have been made about the effectiveness of dietary supplements, such as glucosamine and chondroitin, as an alternative to drugs and steroids. Osteoarthritis is a degenerative joint disease most commonly associated with wear-and-tear of the joint. Over time the normally smooth cartilage overlying the ends of bones begins to erode. Exacerbating factors can be trauma to the joints, obesity and strenuous repetitive exercise. Although osteoarthritis is not always accompanied by inflammation, this is a common symptom, as is joint pain, loss of mobility, loss of flexibility and stiffness. This degeneration typically increases with time and can become increasingly debilitating as your pet ages. Most conventional osteoarthritis treatment is palliative. Their goal is to decrease the signs of pain and inflammation, however they do little to address the underlying causes that lead to progression of the disease. 1. Drugs: Typically nonsteroidal anti-inflammatory drugs (NSAIDs) and steroids. NSAIDs are widely used and are effective in reducing pain. Unfortunately they are also associated with a high rate of side effects including gastrointestinal ulceration and kidney problems. Corticosteroids can also be effective in alleviating pain but similar concerns exist about side effects from long-term use of these drugs. 2. Lifestyle management changes: Weight loss to minimize obesity, dietary changes and carefully moderated exercise levels can have huge benefits for pets suffering from osteoarthritis. Failure to address these issues allow progression of the underlying disease process. 3. Surgery: A detailed discussion of surgery lies outside the remit of this article. When pain related signs of an osteoarthritis condition become unmanageable then surgery can enormously improve the quality of life. Hip replacement in the dog is such an example. 4. SADMOGs: Slow-Acting Disease-Modifying Osteoarthritis Agents are believed to help reduce inflammation associated with osteoarthritis plus slow the progression of the disease and possibly promote cartilage synthesis. In broad terms, osteoarthritis is where cartilage breaks down faster than the body can replace it. Laboratory studies suggest that supplementation with glucosamine and chondroitin (see below) can stimulate cartilage production and inhibit enzymes that breakdown or damage cartilage. While evidence suggests that these supplements are safe and do reduce pain associated with osteoarthritis, some concerns remain. A report by McAlidon et al in the Journal of the American Medical Association examined research from over three dozen studies on these supplements. While agreeing that these studies showed positive effects, he raised concerns over quality issues and likely publication bias. Because of this he felt that these studies may exaggerate the efficacy of these supplements. 5. Glucosamine and Chondroitin: Glucosamine and chondroitin appear to be safe as no serious side effects have been reported. Clinical studies in humans have shown that both glucosamine and chondroitin can relieve inflammation, pain and stiffness. Also because both these substances are naturally manufactured within the body, far fewer side effects are seen compared to NSAID’s. If your pet experiences significant side effects from NSAID’s then it may be worth trying these supplements alone. For some pets it may be possible to administer glucosamine and chondroitin with lower levels of NSAID’s thereby minimizing side effects. Avoid using cheaper mail order supplements. Purity and quality issues are best addressed by buying products recommended by your veterinarian. Please be advised that glucosamine and chondroitin do take longer to produce an effect compared to other anti-inflammatory drugs. But the long-term benefits far outweigh the side-effects of fast-acting NSAIDs. If your pet starts to show signs of arthritis, consult with your vet to get an expert diagnosis before embarking on any form of treatment. While osteoarthritis is common, there are other serious joint problems that should receive prompt attention. Assess life style factors, reduce obesity, modify exercise levels and introduce your pet to non weight-bearing exercises, i.e., swimming. These factors can often help resolve most of the signs of osteoarthritis without any treatment in the early course of the disease. If treatment is required, discuss the pros and cons of NSAID’s with your vet. Consider a glucosamine and chondroitin dietary supplement in lieu of drugs and steroids.